Desire to work as a team with a common goal to achieve our company vision. This is driven by a positive attitude, a willingness to learn and a desire to succeed together. We uphold ourselves to the highest standard of ethical attributes. We work in the community, with the community, for the community and are open and transparent about how we do so. We communicate with the best intentions, both internally and externally. We respect one another’s individual viewpoints and work together to achieve a mutually beneficial outcome. 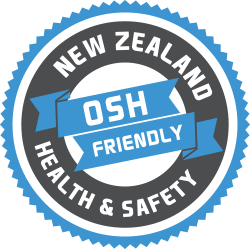 We endeavor to design safety systems for our customers and through this process we will develop within our supply chain a safety-first culture. To stay at the fore-front of the market, we continually develop and re-develop our creative solutions, introducing advanced new products. 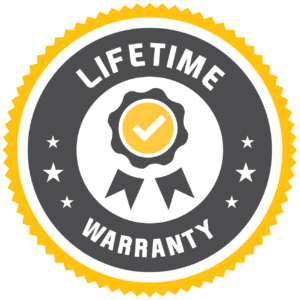 Quality is compromised for nothing in our fit-out systems to ensure our customers have the most dependable and hardworking storage solutions on the market, delivered by the most hardworking and dependable team. Camco Industries aim is to offer a “one stop shop” for commercial vehicle fitout supply and fit. As leaders in the industry, Camco’s products, including the Rolaworx Cargo Drawer, Ladd-a-Lift Ladder Racks and also Gullwing Service Bodies have provided innovative solutions for a range of specialised vehicle fitout needs. Whether you are a sole tradesman’s business or a national service company, Camco will work with you to ensure your vehicle fitout needs are truly catered for. Camco also supplies comprehensive fitout solutions for some of New Zealand’s largest fleet owners. So please contact us to find out how we can cater for your specific fleet needs. Camco have the capacity and experience to supply specialist fitouts for many different industries. 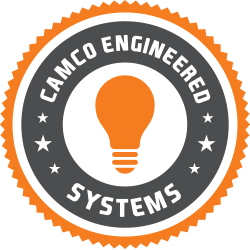 Time means money in business, and Camco systems are calculated to save time and also to create efficiencies. (e.g. It has been estimated that a Rolaworx drawer system could save 15 minutes per day. This adds up to over 62 hours a year over a 5 day week. Multiply that by your average worker’s hourly wage and see the savings!) Camco’s unique range of fitout products also adds a powerful sense of professionalism to your workforce. Our products create safe and also organised storage solutions in vehicles. Talk to a Camco representative as we can assist streamline specialised trade fitouts for small and large fleets with products to suit and meet budgets within your business. 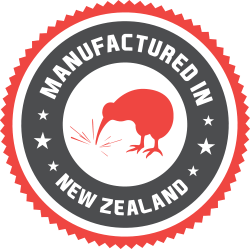 Camco Industries is based in Cambridge, Waikato, with fitting agents situated throughout New Zealand. We specialise in complete service vehicle fitout solutions! Whether you have one vehicle in a specific location, or a fleet of vehicles across multiple locations. Camco’s experienced engineers and workshop staff are skilled to handle corporate company orders. With a quick turnaround, and team cooperation ensuring strict quality control. If you’re looking for fitout specialists that will provide a comprehensive and full range of commercial vehicle accessories. That improve efficiency, protect equipment, and also promote safe work habits; and also adds a professional look to all company vehicles, then you need to contact Camco. The range of products available from Camco is continually growing with customer demand which offers an exciting challenge to our engineers. With excellent workmanship, Camco’s reputation has been enhanced for on-time deliveries of our custom-built products. We make it simple to swap the internal fitout from one vehicle to the next of similar kind when vehicle change is required. 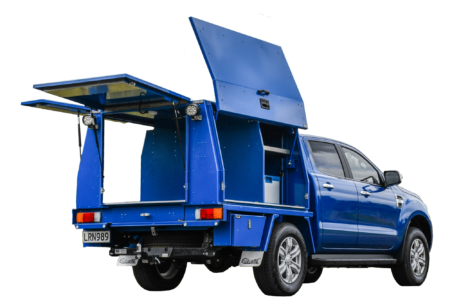 • Rolaworx drawers bring the cargo out to the operator; therefore eliminating the need for crawling into the back of vehicles to reach items required. As one of our customer’s commented “I haven’t had an employee having a sick day for a sore back since I fitted your drawers through my fleet”. It just simply makes sense! • Camco’s range of ladder racks also provide protection for the operator; either a roll on, roll off design with a clamp for security during travel. Or also the rotating Ergorack which brings the ladder right down the side of the vehicle for the operator to easily unload and reload. • Camco also supplies and fits a wide range of lighting. We provide both worklights and warning lights to provide for mobile operators. This lighting is fitted with auto reset circuit breakers to ensure night workers have light at all possible times. Camco’s environmental policy promotes protecting and enhancing the environment. 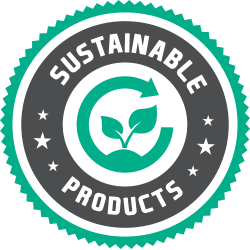 All our manufactured products are 99% recyclable, and we use lead free solder throughout our electrical fitting operations. Recycling of waste throughout our factory is mandatory; we promote a strong care for the environment with all our staff.